Aim: to play a game about remembering things before thinking about remembering what God has done. You will need: clothes such as hats, scarves, gloves, shin pads, waist coats, cardigans and a selection of random objects including sports equipment and kitchen utensils. Divide the children into groups or work together as one team. Ask a volunteer to put on a selection of clothes over the top of their own clothes and choose a couple of random objects to hold. They will need to do this where they cannot be seen by the rest of the group but make sure the arrangements comply with your supervision guidelines. When the volunteer returns to the group the children need to have a close look at what they are wearing trying to memorise their costumes. After 20 seconds ask the volunteer to disappear again and encourage the children to write down what they were wearing and holding trying to remember details such as colour and type. Ask the volunteer to return to the group so the children can check their answers. If you have time allow other children to take turns to dress up. You will need: a large sheet of paper or a whiteboard, a Bible, an extra sheet of paper and marker pens. Before the session write the verse on a whiteboard or a large sheet of paper. Draw a stick man next to the verse and write ‘Asaph’ beneath. 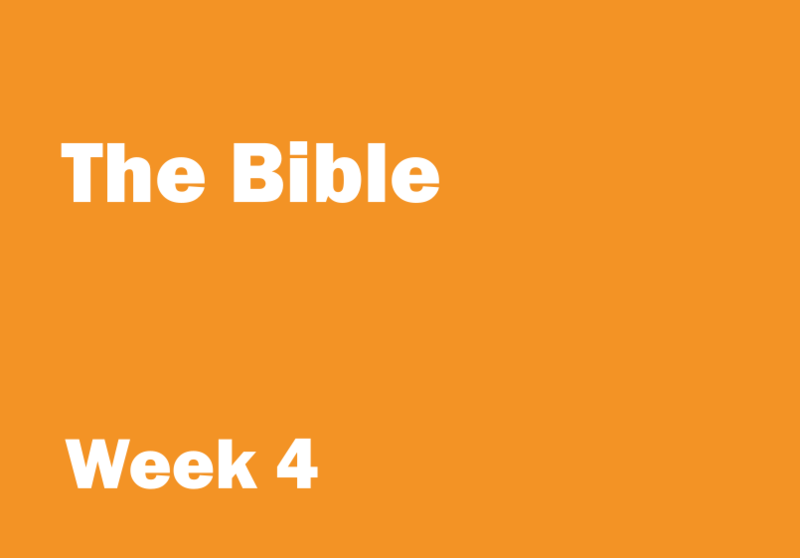 Read the verse aloud and explain that this verse will help us learn more about the Bible. Use the ‘Topic overview’ to recap briefly what the children talked about in week 1, 2 and 3. Underline the reference and remind the children that this verse is part of a psalm, a song written by Asaph. In the first part of the psalm Asaph wrote about a time when he felt sad. In the second part he tells us what he did to feel better , he thought about all the wonderful things God had done. As Asaph remembered what God had done for other people, he remembered that God is powerful and loving – he remembered that God would look after him too. Circle the word ‘remember’. Ask the children what it means to remember something. Talk about different things we can do to help us remember. Explain that some people used to tie a knot in their handkerchief to help them remember. People write lists to help them remember what they need to get from the shops. Remind the children that last week we learnt that Christians believe that the Bible is God’s way of telling people about himself. Christians believe that through the Bible, God is telling people about his goodness, his power and his wisdom. Because Christians believe that the Bible is from and about God they read it and remember what it says so that they can learn and understand more about God, his great power and his love. If you have time explain that another reason why Christians read their Bible and remember what it says is to discover more about living God’s way. Christians believe the Bible teaches about what God likes and doesn’t like, it teaches about how God created people to live. Some people describe the Bible as ‘the Makers instructions’ – just as we might follow instructions on how to use a new piece of equipment the Bible describes how God planned his creation to be, it describes how he planned people to live. However the Bible is not just a list of instructions. Christians believe the Bible is a special work of the Holy Spirit. Christians ask the Holy Spirit to be with them when they read the Bible because they believe that just as the Holy Spirit did a special work with the people who wrote the Bible, he will do a special work with them as they read it too. As this is the last week of the month cover up the Bible verse and ask the children if anyone can say it from memory. Help the children if they get stuck. If you have a rubber stamper and tickets, stamp the tickets belonging to children who can say the Bible verse. Include whose who needed some help.